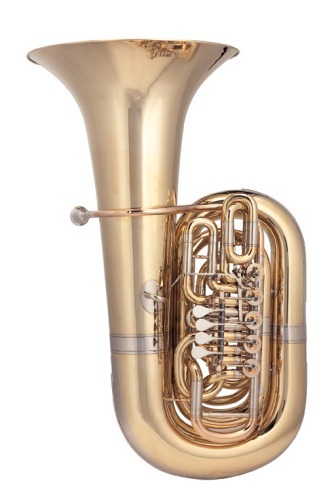 I would not rule out adding a small CC tuba to range later (won't be this year), but think a front piston tuba would be more popular than high bell rotary version. Possibly with the larger 821 bell? I'd like to see a CC 4/4 "Anton." I know you've got the "Mahler" but I just can't get over the looks of that tall bell. KKORO wrote: I'd like to see a CC 4/4 "Anton." I know you've got the "Mahler" but I just can't get over the looks of that tall bell. The Anton will be in stock at Wessex Michigan store by the end of the month. I have been playing an Anton a lot myself of recent both with band and orchestra (Prokofiev 5 and Mahler 1). I have had no problems with intonation and love the sound from it. I have had positive feedback from conductors and trombones too. A Moritz or Bruckner tuba (check out the Szentpali videos!) with a modern valve section! Possibly a Rotary BAT? Like a Rudy copy or york style with a rotary valve section. BBruce107 wrote: Possibly a Rotary BAT? Like a Rudy copy or york style with a rotary valve section. Is that CC or BBb? A CC or BBb. My preference would be a CC as I am primarily a CC player but I know a lot of BBb players that would adore having a rotary BAT. Before you go building another rotary tuba, please invest some effort into improving your valve linkage setups. Right now you've got some well designed tubas that play great, hobbled by less than impressive rotary valves. If Schiller can get real German Minibal linkages on their tubas I bet you can as well. Big Mouth Brass sells one of those already. kmorgancraw wrote: Before you go building another rotary tuba, please invest some effort into improving your valve linkage setups. Right now you've got some well designed tubas that play great, hobbled by less than impressive rotary valves. 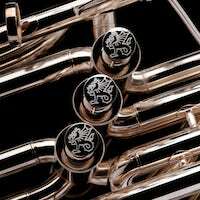 If Schiller can get real German Minibal linkages on their tubas I bet you can as well. I would be interested to see more collaboration with multiple 'Tuba whisperers'. I could only imagone what kind of ideas a meeting of the minds between the leading names in frankentubadom could come up with.